The officials signed the Ministerial Declaration during the 6th Ministerial Forum, a triennial event that serves as an opportunity for concerned government ministers of the region to meet and engage in policy dialogue. The Ministerial Forum provides direction pertaining to key concerns for regional cooperation and the fulfilment of their international commitments related to sustainable development. 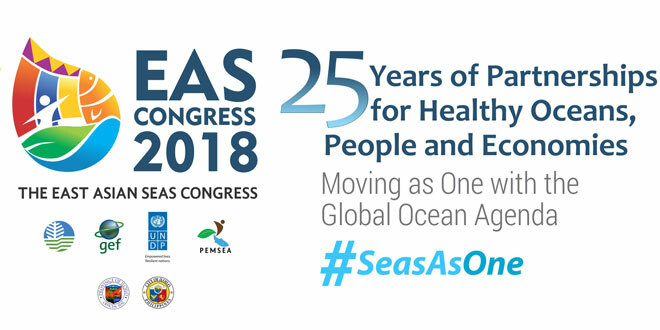 The 2018 Ministerial Declaration reaffirms commitments previously made in previous Ministerial Forums such as: (Putrajaya, Malaysia 2003) working towards sustainable development of the region’s coasts and oceans under the Sustainable Development Strategy for the Seas of East Asia (SDS-SEA); (Manila Declaration 2009) strengthening the implementation of ICM for sustainable development and climate change adaptation; (Changwon Declaration 2012) on moving towards an ocean-based blue economy and the (Da Nang Compact 2015) on aligning the region’s strategies in the SDS-SEA with global goals and targets. The Ministerial Forum also saw the presentation of the Regional and National State of Oceans and Coasts Reports. The reports recognize the efforts made by countries at the regional and national levels with their blue economy initiatives, as well as lessons learned. The reports are expected to be useful for countries in their development planning.